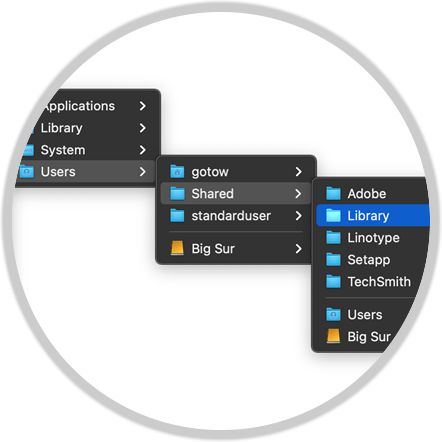 Go faster: Quickly navigate through folders with hierarchical menus that expand as you mouse over them. 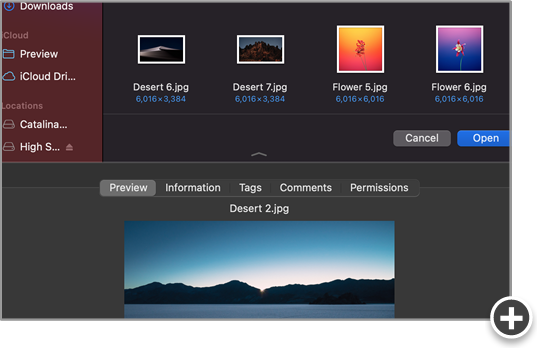 Do it all: Preview, tag, rename, compress, delete or add comments to files in any Open or Save dialog. 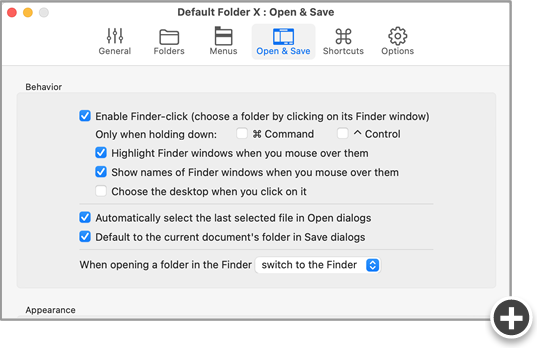 Just click: Need to save a file in a folder you have open in the Finder? 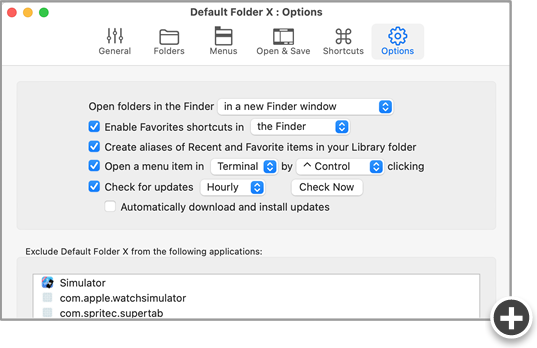 Just click on the Finder window! 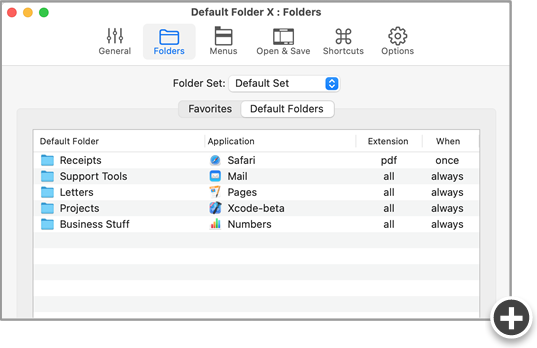 Access your recent, favorite, and open folders from DFX's toolbar. 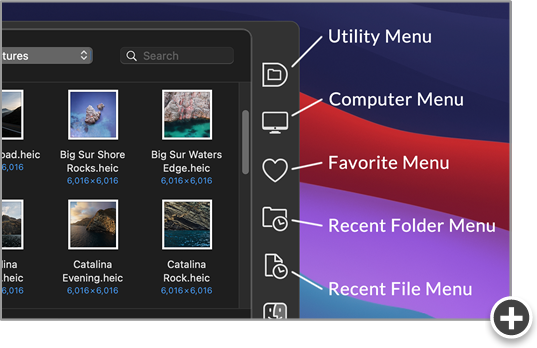 Hierarchical pop-up menus let you quickly navigate through folders to get to your files. 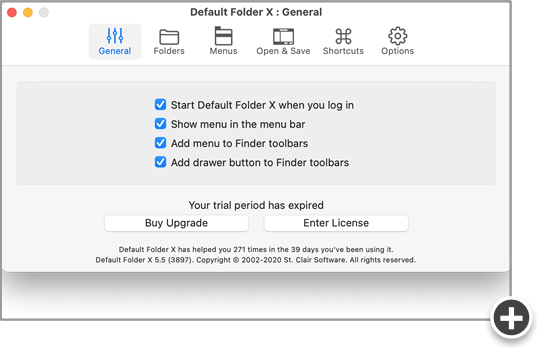 If you're constantly saving things inside the same folder, DFX can remember that folder for you. Or you can set it as the default folder for an application so you're in the right folder from the start. 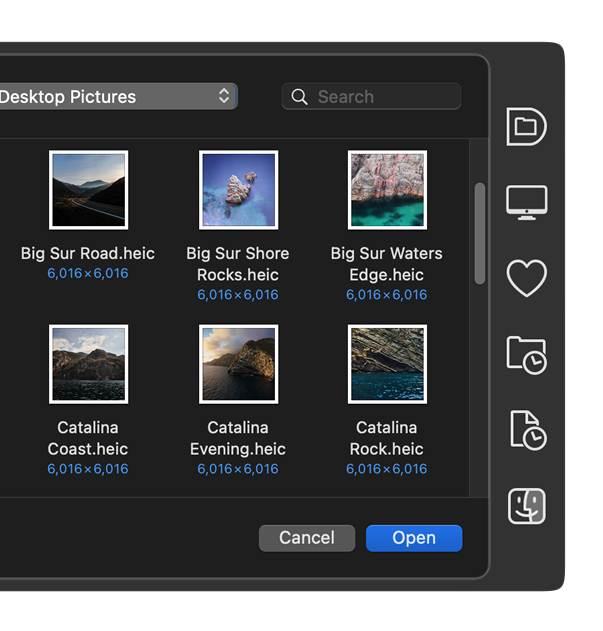 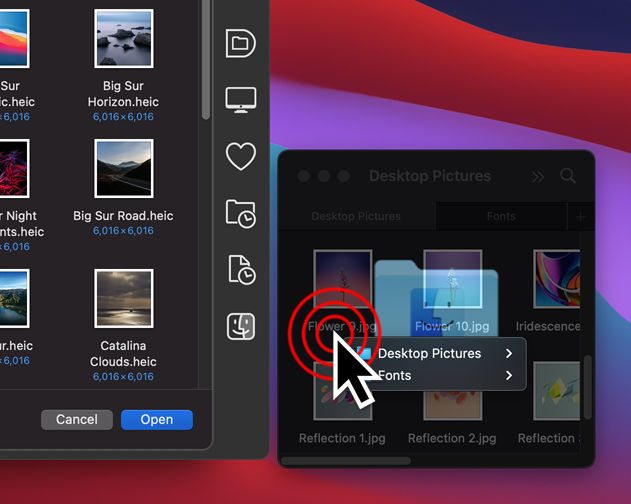 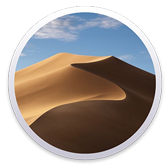 DFX lets you open up or save to any Finder window with a single click. 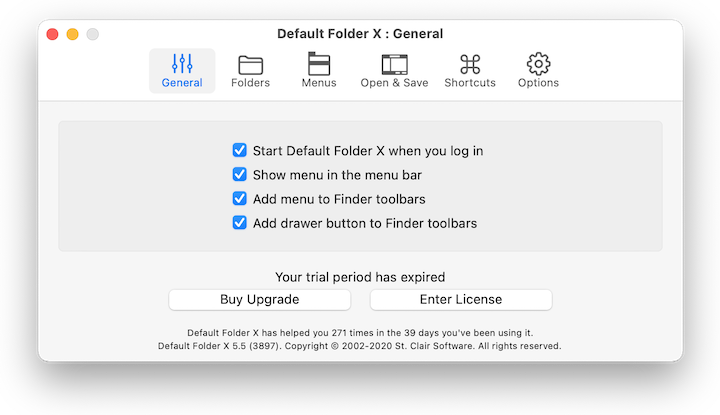 It also lets you get info on, duplicate, rename, and delete existing files, putting the Finder's power in every Open and Save dialog. 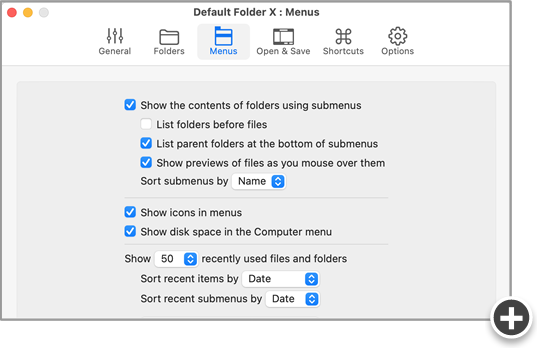 To help you quickly return to folders and files you've used recently, DFX remembers them for you. 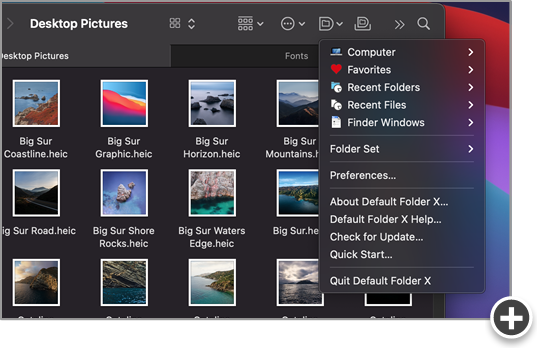 It even re-selects the last file you opened. 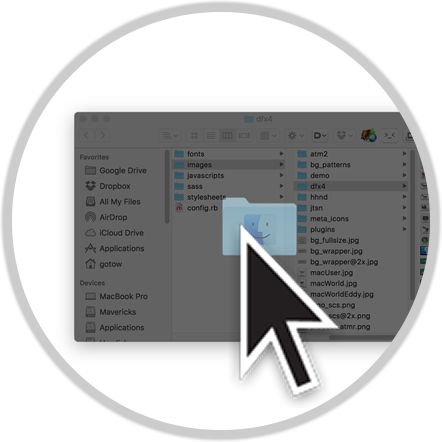 With DFX, you'll never forget where you put something. 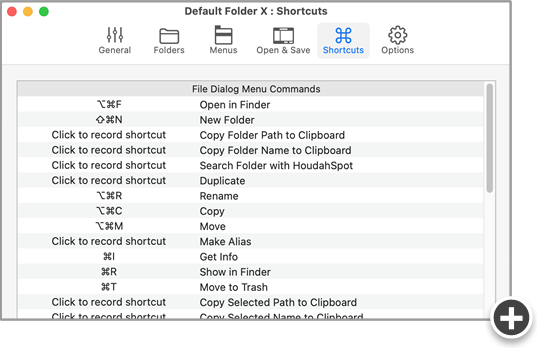 Get places fast by using keyboard shortcuts for your favorite folders. Or jump to recent folders and open Finder windows with a keystroke. DFX's shortcuts are completely configurable. 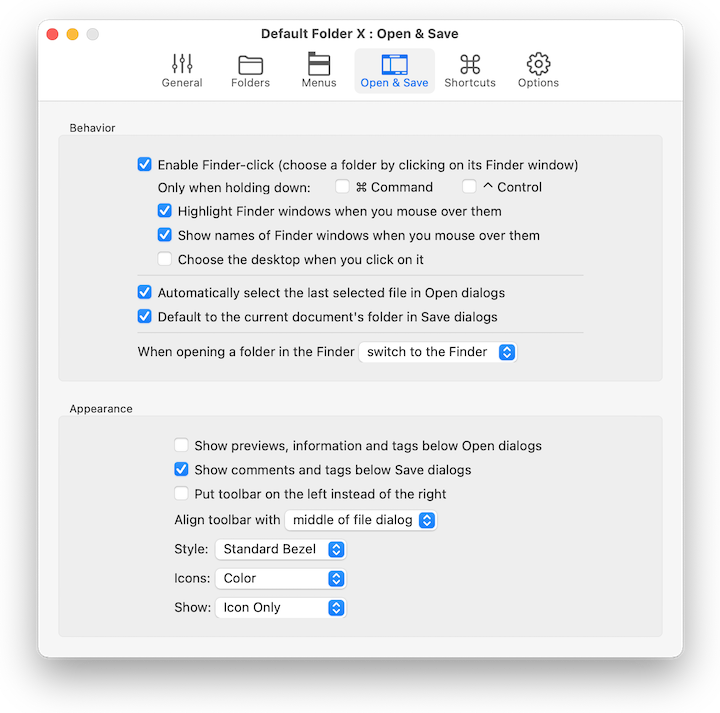 Tag your files or edit your Spotlight comments from within any Open or Save dialog. 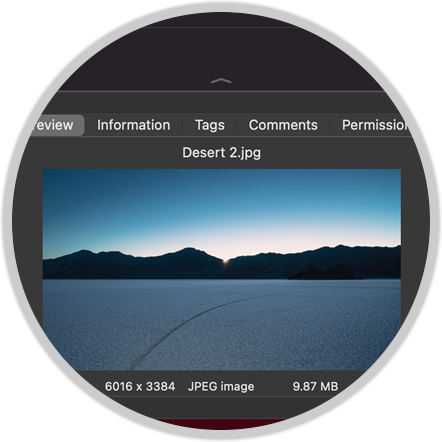 Don't remember what tags you used before? 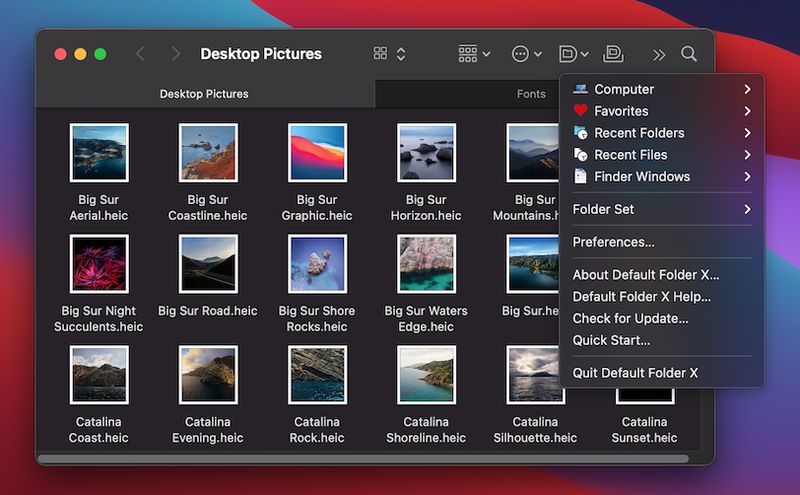 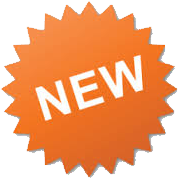 DFX shows you all of your recently used tags - just drag and drop. Get a free, in-depth Default Folder X 5 tutorial in the SCO Showcase app for iPhone, iPad and Apple TV. 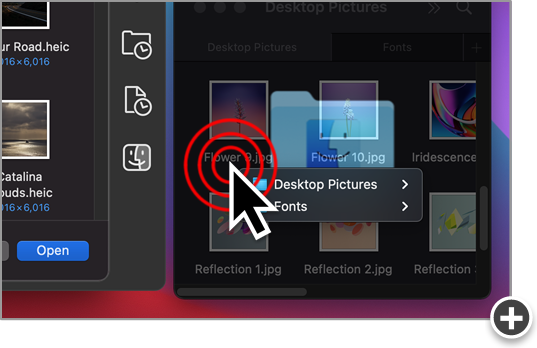 In the SCO Showcase app, go to the "ScreenCastsOnline Video Tutorials - Archive" section, then drag to the left to scroll.